While the role of drones in civilian life is bound to increase, the DGCA's hesitation in endorsing them also has some basis. Key questions of safety and security are involved. In July this year, two employees of leading real estate portal Housing.com were arrested by the Mumbai police. They had been spotted operating an Unmanned Aerial Vehicle (UAV), or drone, close to the Bhabha Atomic Research Centre (BARC), triggering fears of an imminent terror attack on this top level institution. The drone, a Phantom manufactured by China-based DJI, costing around Rs 80,000, was also confiscated. Questioning of the two employees, however, revealed a far-from-sinister purpose - the portal had been using UAVs for many months to take video footage of select apartments and their surroundings for some of its builder clients, which it uploaded on its site and thereby gave customers a better idea of properties they wished to buy. The incident highlights the anomaly surrounding UAVs in India - even as they proliferate across the world, the Directorate General of Civil Aviation (DGCA) has no policy or institutional framework in place for them and hence their civilian use is banned. With UAVs being openly sold in India and a number of private companies starting to use them for different purposes, the DGCA issued a public notice in October 2014: "No non government agency, organisation or individual will launch a UAV or UAS (unmanned aerial system) in the Indian civil air space for any purpose whatsoever." Nor is there any ambiguity as to what constitutes Indian civil air space. "It means all other airspace above Indian territory except defence airspace," says a senior DGCA official. Companies using them had to stop operations, while those which did not and got found out, like Housing.com, had to bear the brunt of the law. The regulatory vacuum is odd, considering India was the one of the earliest countries to start using UAVs for military purposes. "India operated its first drone in 1996 when the Army acquired an Israeli 2 Searcher Mark I," says R. Swaminathan of the Observer Research Foundation (ORF) in a February 2015 paper on the subject. "Less than two years later, the Air Force and the Navy followed suit." According to the International Institute of Strategic Studies, India has around 50 drones, the highest number for any country after the US - though given the unregulated nature of the market, it is believed that China and Israel have many more, which they have not declared. The Indian government has used drones for numerous purposes, apart from military - to look out for poachers at the Panna Tiger Reserve, for instance; to pinpoint affected areas following the devastating floods in Uttarakhand in 2013 and Jammu and Kashmir in 2014; to hunt for Maoists in the Chhattisgarh forests and more. The Uttar Pradesh government has used them to maintain law and order during processions in Lucknow and the last Allahabad Kumbh Mela in 2013. The Mumbai police employed UAVs to monitor Ganapati processions, Delhi Police to investigate the Trilokpuri riots of November 2014 and Kolkata police to monitor voting during the municipal corporation elections in April this year. There are also a number of private Indian companies working on both the hardware and the software of UAVs, though they sell exclusively to the government. 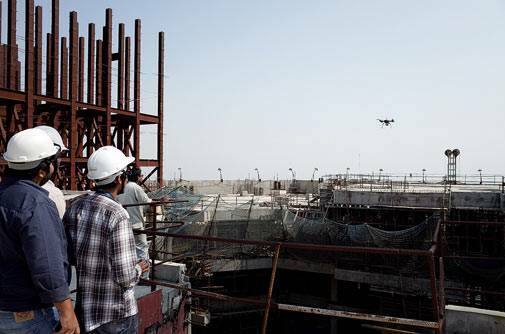 "The item falls under Schedule II, and thus requires a licence from the Ministry of Industries for its manufacture," says Atul Khosla, Director, OM UAV Systems, a Delhi-based manufacturer. "The licence is given only after approvals from the defence ministry, home ministry and Department of Telecom and restricted to those making drones for the security forces." 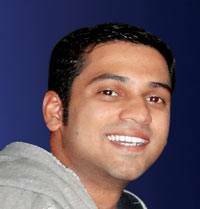 The company, started by Khosla and his Punjab University batch mate Ravinder Singh in 2013, makes autopilot systems for mini and micro drones to sell mainly to the military for surveillance in the border areas. Another frontrunner is ideaForge, started by five IIT Bombay alumni, which, working in close tandem with the Defence Research and Development Organisation (DRDO), developed the Netra UAV. Weighing barely 1.5 kg and rising to a height of about 15 metres, it has been used during the Uttarakhand floods, the tiger census, as well as to track a killer leopard in Uttarakhand. Others to have obtained licences include Dynamatic Technologies, Ashok Leyland, Taneja Aerospace and Aviation, Avaana Software and Services, Basant Aerospace and SasMos HET Tech. There is also Navi Mumbai-based Airpix, which offers UAV services - aerial photography, aerial surveys, remote sensing and more. Its drones are imported and customised, as indeed are most of those sold in India. 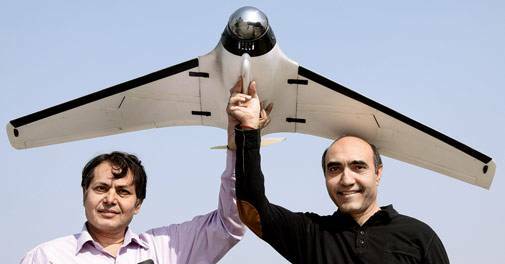 "Import of UAVs also requires a licence," says Khosla. "Perhaps they are being brought in as toys or in non-UAV categories." UAVs from global brands such as Silverlit, Flyers Bay, Mikadelo M'Delo, Toyhouse and DJI continue to be available on all the leading e-tailing sites despite the DGCA ban, at prices ranging from Rs 1,700 to a few lakh. In its notice, the DGCA added that it was in the process of formulating the regulations for the certification and use of private drones. But given the ecosystem that has already evolved, it has clearly taken its time to wake up. UAVs come in a wide range of sizes, from those resembling toy planes - with length and wingspan of just a few centimetres - to the latest variant of the US's Global Hawk, the biggest in the world, stretching 13.5 metres with a wingspan of 35.4 metres. They fly at different heights, depending on their size, range and speed, from the smallest ones which go up to an altitude of 600 metres, to the hypersonic, which rise to over 15,000 metres, and the orbital, which enter the low earth orbit. (Most commercial aircraft travel at a height of 7,500 to 12,000 metres.) Their military use in target bombing, reconnaissance and even combat is well known; their civilian ones less so. But the latter are innumerable. They can be used for logistics - in the US, Amazon, a pioneer, uses them to send packages, Dominoes to deliver pizzas. They can help in agriculture - in Japan, drones are employed extensively for pesticide and fertiliser spraying, mapping soil conditions and crop growth. They can provide all kinds of surveillance - of transmission lines, oil and gas pipelines and more; help with oil and gas exploration, they can be used for earth mapping and even for detailed visual media coverage. They can even help in healthcare, transporting human organs for transplants at short notice! Technology market research company ABI Research estimates that by 2019, the commercial UAV segment will be 2.3 times that of the military, with revenues exceeding $8.4 billion. 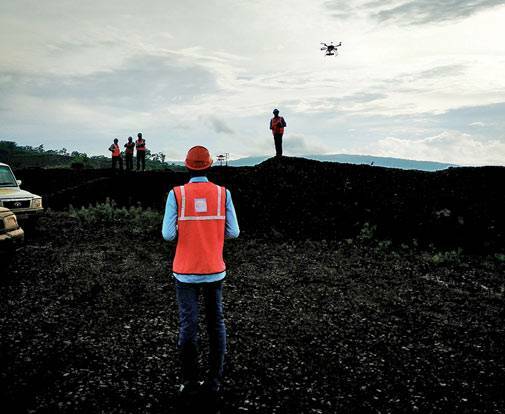 Estimates of the total global UAV market vary widely, but a 2014 study by the Teal Group, a US defence and aerospace consulting firm pegged it at $5.2 billion. Drones may have made global headlines only after the US used them to bomb Taliban dominated areas in Afghanistan and Pakistan, but they are far from being a new idea. The earliest version of the aeronautical gyrocompass, which guides every UAV, was developed in the US in 1910, while the airframe construction for remote piloted vehicles was finalised, again in the US, in the run-up to World War I. The aerial torpedo, developed in the inter-war years; the Messenger, designed by US army engineers, which could be piloted for two hours from the ground and had a range of 145 km; the 'radio plane' invented by Hollywood actor Reginald Denny in the mid-1930s; and the V-1 Flying Bomb, created by the Nazis in 1940, are all important predecessors of the modern day UAV. Every subsequent major war led to improvements in the quality of UAVs deployed, with the US and Israel, often working together, at the forefront. The 1990s and years thereafter have seen a concerted effort in two directions - to develop material that would keep drones flying for over 24 hours at higher than 15,000 metre altitudes and to pack in more features while miniaturising them. "Both these trajectories were aided in no small measure by the revolution taking place in inter-related fields of electronics, chip design and fabrication, internet protocols and networking, digital data links, mobile communication and aviation design," says Swaminathan in his ORF paper. While the role of drones in civilian life is bound to increase, the DGCA's hesitation in endorsing them also has some basis. Key questions of safety and security are involved. Air Traffic Control guides manned aircraft - who will guide the unmanned ones and coordinate with the manned to avoid collisions? Mandatory installing of anti-collision software in UAVs is only a first step. Should there be licences for operating UAVs, just as there are for driving manned vehicles? How should misuse of UAVs - for spying, snooping, privacy invasion, etc - be prevented? Should every drone have a registration number, the way all manned vehicles do? There is need for an overall infrastructure for drones, standards for drone manufacturing as there are for other vehicles and numerous other safeguards. "It's true that since there are no regulations, many things remain undefined," says Shinil Shekhar, co-founder of Airpix. "In an unregulated market, there will be irresponsible usage, with its potential threat to public safety. But banning an entire technology just because no regulations have been framed is also not justified." Khosla, of OM UAV Systems, echoes his view. "It is very easy to invoke fears and ban a product but it is more important to find ways of utilising a new technology for the benefit of mankind," he says.